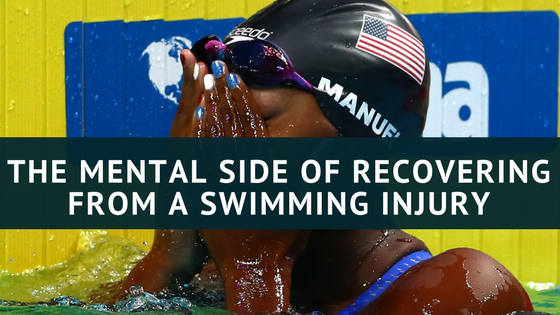 A swimming injury is an inevitable part of competitive swimming no matter how robust our prevention and rehabilitation programs. We often discuss the mechanics of swimming injury prevention and rehabilitation, but the psychological is also important. Though many coaches prefer to wear the tough, authoritarian hat on deck, the softer side of dealing with injured athletes is an important skillset to have. Nonetheless, athlete responses to injury can vary widely, from swimmers who won’t miss practice with a broken arm to others who beg out of practice with a paper cut. A swimming injury is not only a stress to body but also to the mind. Evans (2012) noted that in addition to the physical stressors that cause injury, social and financial stressors will accompany any athletic setback. With many swimmers spending more waking hours at the pool than anywhere else, their aquatic existence becomes part of their identity. A swimming injury robs them of that identity, which can be particularly troublesome for youngsters at socially vulnerable ages. Finances can be equally stressful, with college scholarships and professional sponsorship potentially jeopardized. Parents may add to frustration with pressure to validate a substantial investment into a swimming career. “psychological factors may also either hinder or facilitate rehabilitation adherence, compliance, and recovery. Psychological distress may persist even after physical recovery has been completed.” Roh (2000). 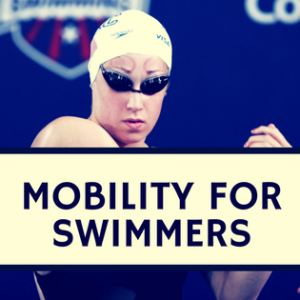 Doing all the right exercises important but is not enough; having the right attitude and an support network will increase a swimmer’s odds of a favorable rehab outcome. 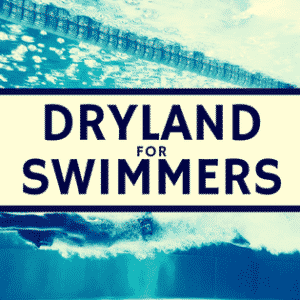 Strategies like specialized kick and drill sets (rather than “go kick around for 30 minutes”) can keep an injured swimmers mentally engaged when they are in the water. It’s also important to not marginalize athletes from the team during a swimming injury even if they aren't completing normal practice. During rehab exercises, set goals (no matter how small) and remind athletes that many swimmers before them have successfully returned to training and competition. Most importantly, keep the lines of communication open during what can be a highly stressful period, especially for a young athlete inexperienced with setbacks. 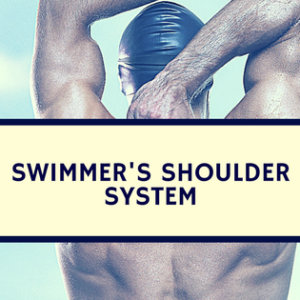 If dealing with a shoulder injury, checkout the swimmer's shoulder system and get back to the pool today! 1) Roh JL, Perna FM. Psychology/Counseling: a universal competency in athletic training. J Athl Train. 2000 Oct;35(4):458-65. 2) Evans L, Wadey R, Hanton S, Mitchell I. Stressors experienced by injured athletes. J Sports Sci. 2012 May;30(9):917-27. doi: 10.1080/02640414.2012.682078. Epub 2012 May 3. 3) Podlog L, Dionigi R. Coach strategies for addressing psychosocial challenges during the return to sport from injury. J Sports Sci. 2010 Sep;28(11):1197-208. doi: 10.1080/02640414.2010.487873. 4) Judge LW, Bellar D, Blom LC, Lee D, Harris B, Turk M, McAtee G, Johnson J. Perceived social support from strength and conditioning coaches among injured student athletes. J Strength Cond Res. 2012 Apr;26(4):1154-61. doi: 10.1519/JSC.0b013e31822e008b. 5) Clement D, Shannon VR. Injured athletes' perceptions about social support. J Sport Rehabil. 2011 Nov;20(4):457-70.